Get approved today regardless of your bankruptcy history. Bankruptcy is not the end of the road, though public stigma affiliated with the matter might lead you to believe so. The reality is that bankruptcy is a process that helps you move out of debt and onward with your life. Additionally, it is common - more common than people might think. In 2014 alone there were 936,795 total filings for bankruptcy, according to the United States Courts. This is a significant number and one that can't be ignored by borrowers or lenders. When you think about it, if banks or other lending institutions didn't consider an individual who had gone through the bankruptcy process, they would run out of people to do business with. The fact of the matter is that while bankruptcy can feel like a burdening process, there is a light at the end of the tunnel. Getting approved for an auto loan after, or even during, bankruptcy is possible, you just have to make sure you are ready. The reality of bad credit is that the only way to improve it is to use it. While this seems like a sort of double-edged sword, it is the truth. According to Bankrate, making loan payments on time is the fastest way to build your credit back up. Therefore, if you already have monthly payments then be sure to keep up with them. When applying for an auto loan, the lender is going to consider your recent financial history and check to make sure you are making your payments. Since the bankruptcy process has probably discharged most, if not all, of your previous debts, your slate should be clean and this should not be a problem. "Bankruptcy isn't the end, it's the beginning!" Once you emerge from bankruptcy, you cannot file for bankruptcy again right away. Though there would be no reason to, lenders see this as an opportunity. According to Nolo, a legal resource, lenders are willing to take on borrowers who have recently stepped out of the bankruptcy process because they have no choice but to make their payments. Since consumers can't file again right away, they cannot discharge these new amounts from their credit - this means you have to pay your new debts in a timely fashion. Since lenders know this, it is possible that additional interest will be tacked on to your loan. This is part of the deal when it comes to acquiring a loan after bankruptcy. However, by making your payments on time and improving your credit, these interest will not follow you through life. After bankruptcy, you need to approach your financial situation differently than before. As you undoubtedly came out of the process with more knowledge than you entered with, it is time now to put those financial smarts to work. 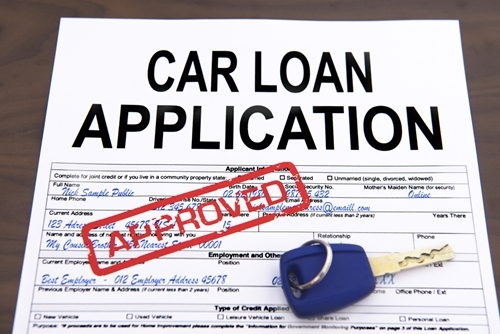 If you are applying for a car loan, make sure you are doing it for the right reasons. Not having a car can be a problem for many individuals, as they need a way to get to work, pick up the kids from school, make it to the grocery store and any other number of tasks. For this reason, auto loans are more common after bankruptcy than any other type, as noted by Daily Finance. So if you feel like you need a car to get you through the day, then don't think you are crazy or alone in applying for an auto loan after bankruptcy. Get approved and get a new car. Bankruptcy is not something to be afraid of, just like having debt is not going to hold you back for the rest of your life, even though it can sometimes feel that way. There is a reason bankruptcy exists, and that is to help borrowers eliminate their debts and live their life. Additionally, loans were created to help consumers purchase items they don't currently have the money or credit for. Taking advantage of both of these resources does not make you anything less than an average consumer who needs a car. Good luck with your bankruptcy process, and emerge from it brand new and unafraid by being in control of your finances. Question: H ad my car through Drive time for almost 4 yrs. Have not missed a payment and in good standing. My intrest rate is at 23% after a bankruptcy. Can I trade my car in at a cheaper intrest rate…?? Thank you for reaching out to us! Please know that financing, trade, and approval vary on several factors. 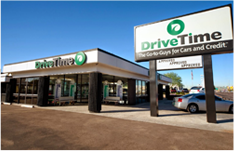 I encourage you to reach out to your local DriveTime location. 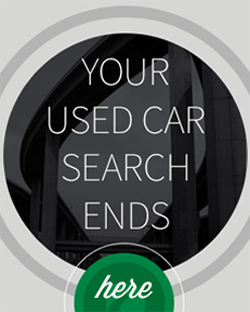 You can find the closest dealership on our website and start your online pre-approval too! Hope that helps!